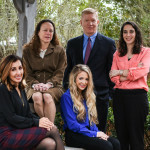 Our Suwanee Georgia bankruptcy lawyers have been helping individuals and small businesses to get a financial fresh start for over fourteen years. We are members of the National Association of Consumer Bankruptcy Attorneys and we help good people recover from difficult situations. We have filed hundreds of cases in the Northern and Middle Districts of Georgia discharging debts ranging from several thousands of dollars to several million. No one plans on filing for bankruptcy. However, if you are facing difficult financial problems, our Roswell Georgia bankruptcy lawyers can help.